The medical term for hair loss is alopecia. Alopecia may be localised or diffuse. Patients may notice hair shedding, poor hair quality, hair thinning or bald areas. There may be associated scalp disease or scarring. Genetic and hormonal influences result in gradual thinning of scalp hair with age. This presents as male or female pattern hair loss. It is apparent in about 50% of individuals by the age of 50 years and can run in families. What is male pattern hair loss (androgenetic alopecia)? by a receding hairline and/or hair loss on the top and front of the head. 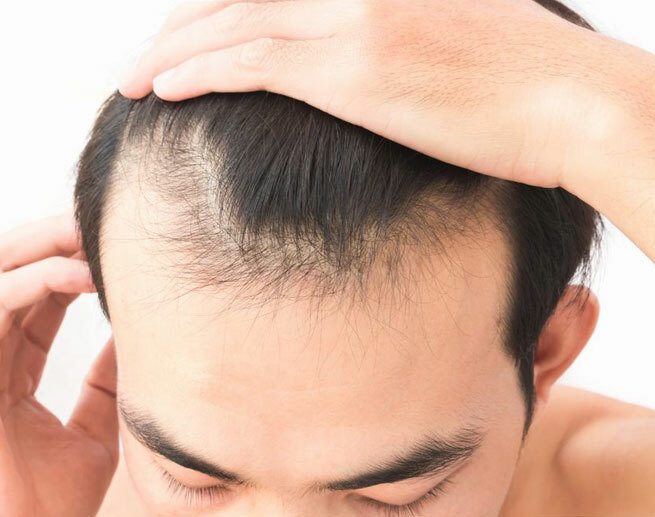 What treatments are available for male pattern hair loss? 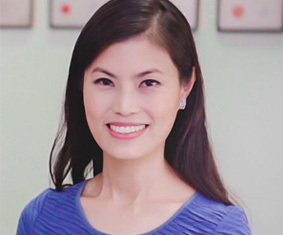 A similar type of hair loss in women, female pattern hair loss (FPHL), results in thinning hair on the vertex (top) of the scalp and is generally less severe than occurs in males. Around 40% of women by age 50 show signs of hair loss and less than 45% of women actually reach the age of 80 with a full head of hair. It is normal to lose up to 50-100 hairs a day. Another condition called chronic telogen effluvium also presents with increased hair shedding and is often confused with FPHL. It is important to differentiate between these conditions as management for both conditions differ. What treatments are available for female pattern hair loss? Other causes of hair loss are associated with poor quality hair include iron deficiency, deficiency of thyroid hormone and systemic diseases such as systemic lupus erythematosus, syphilis and severe illness result in patchy hair thinning and bald patches. DCP works by inducing contact dermatitis. The body’s immune system is stimulated causing inflammation on the surface of the skin. By diverting the white blood cells away from the hair bulb, the hairs can re-grow. DCP does not work in every patient, but reports suggest that up to 50% of people who use it will obtain significant re-growth of their hair. What would you expect if your doctor put you on DCP? DCP treatment usually involves making you allergic to this chemical by “sensitizing” you to the chemical DCP, as on a patch on your scalp. This chemical is painted on a small patch on your scalp and left on for 24 hours. After 24-hours, you should remove the patch by wiping the chemical with a tissue before washing the area in the shower. An itchy area or even blister will develop in 3 to 5 days where the DCP is applied. This itchy area will fade in 2-3 weeks. You need to see the doctor 2 weeks after the “sensitization” period. Your doctor will examine you and decide if DCP will work for you. If you have strong reaction to DCP (you developed an itch or blister 3-5 days after “sensitization”), this means that you have been successfully sensitized to DCP. The patch test usually involves applying various concentrations of the DCP on your left arm, and left there for 24 hours. Similarly, after 24 hours, you are required to wipe away the chemical and wash the area in the shower. Three days after the patch test, you are required to come back to NSC, for a review to determine the best dose for treatment of your condition. DCP is usually applied once a week. DCP comes in many concentrations (0.0001%, 0.001%, 0.01%, 0.05%, 0.1%, 0.5%, 1% etc) and your doctor will choose the best concentration to start treating you with. ln treatment room, your nurse will apply DCP to all areas of the scalp that are bald. After 24 hours, you will be required to wash off all the remaining chemical from your scalp. Once you have been sensitized to the DCP, you will get a rash wherever it touches you. So you must be careful when you wash away the remaining chemical to make sure that it does not come into contact with other parts of your body. One to two days after your treatment, you may experience itching, burning, blistering on the scalp and may even look like a mild sunburn. Different people react differently and some people will only have a mild redness and slight itch, whilst others may get a very severe itch and even few blisters. A satisfactory reaction is for the DCP to cause mild redness and itch which lasts for 24-48 hours. The redness and itch is then allowed to subside, and the DCP is applied each week. DCP will be continued until the bald area has completely re-grown. This will usually take several months. If you get a strong reaction, do tell your staff nurse and no treatment will be done until your reaction settles. Some patients will develop painful swellings (lymph nodes) at the back of your neck and are distressed. It is generally benign. Please see your doctor. Your doctor will review you one month after starting treatment. He will adjust the concentration of DCP applied according to your response to the previous concentration. You will continue for at least 6 months of treatment before we consider the treatment to be unsuccessful and recommend stopping. When the treatment was deemed successful and you have achieved complete re-growth, your doctor will either reduce the frequency and put on a maintenance regime or stop the treatment completely. Treatment with DCP is usually safe and any side effects are usually due to hypersenstivity to the chemical. You can develop redness, blisters itch and white patches. If you are extremely sensitive to the chemical you might even develop rashes on other parts of the body, not exposed to the chemical. If this happens, and it is extensive and severe, you are required to stop the treatment and to consult us immediately. At all times when on treatment, YOU MUST NOT BE PREGNANT OR BREASTFEEDING. Should you be pregnant while on treatment, you must let your doctor know immediately, as DCP is not recommended in pregnancy.